Say what you want about Apocalypse World—it’s a great spot to see old friends. Wouldn’t it be great, though, if familiar faces turned up in our world, too? Careful what you wish for, folks. And strap yourselves in for this episode, which was jam-packed. We open with the ultimate “The Road So Far” as Lucifer mentally describes (in unflattering terms to Chuck) the creation and beauty of Earth to a temporal lobe hitching Michael. Michael has Lucifer in a sort of deconstructed Iron Maiden (Dean would approve on so many levels) and he’s planning to keep Lucifer hostage while he goes back to our world to reign supreme. Jack’s off the grid, and the boys are searching hard. 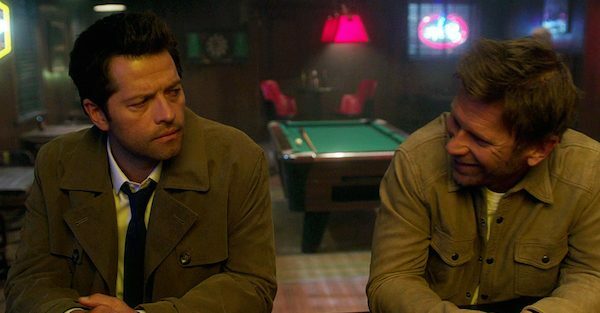 Cas wonders if the lack of evidence means Jack has either been dragged to Heaven or Hell. He wants to meet with the angels and Dean wants to be his wingman (for a change) but it’s a no go for the brother W—Cas’ contact wants to meet alone. The boys decide to bide their time by taking on a case. 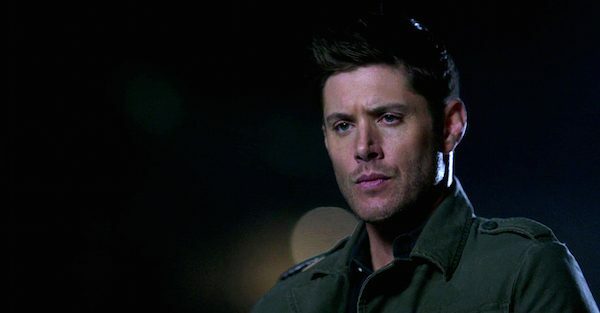 Someone’s ritualistically killing witches, and, since it’s clearly not a hunter doing it, Dean wants to know why. 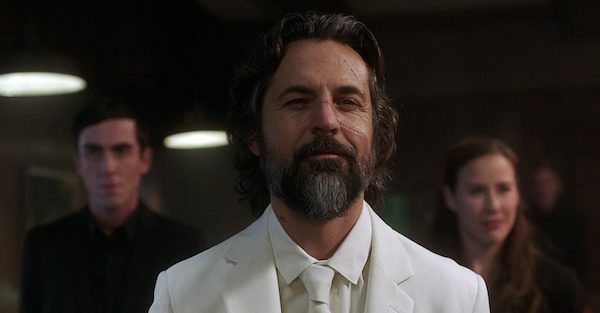 After Asmodeus (aka, per Dean, “Evil Colonel Sanders”) finds out that Jack is on the loose, we cut back to Lucifer and Michael, snarking back and forth about commanding over earth until Michael brings in the genius that is going to help him open the rift between worlds. It is none other than Apocalypto Kevin Tran, and if you thought our Kevin was a nerd you ain’t seen nothin’ yet! AKT tells Michael he needs archangel grace as a component to the spell, and Michael takes some from Lucifer, weakening him in the process. Later, Alterna-Kevin, who has been promised the reward of hot women on our earth, opens the rift (which turns out to only allow one person per ride) and Lucifer fights off Michael’s goons and jumps through to Earth, where he finds himself mostly powerless. You’ll never guess who’s killing the witches (I sure didn’t.) It’s…KETCH? Arthur KETCH? With a new (and kind of hot) beard! Sam and Dean meet a witch named Daniela who confirms the face and accent of the witch hunter, saying his sole goal seems to be finding Rowena. (Wait…is she alive too? If so I will CHEER!) 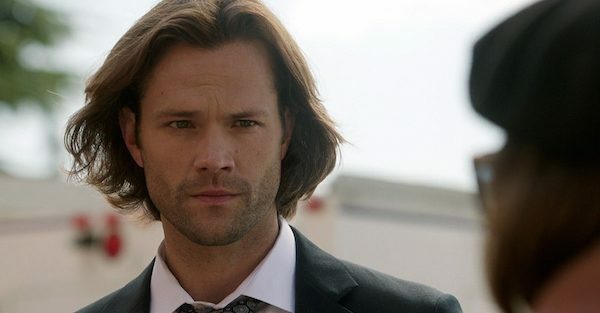 Despite her fears, Sam and Dean use her as bait to catch Ketch, who claims he is Alexander, Arthur’s renegade brother. 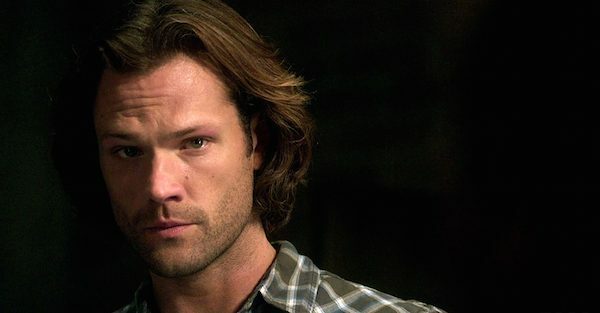 “So you’re really going to sit there with a straight face and tell us that you have an evil twin?” Sam asks, and it seems like he is. 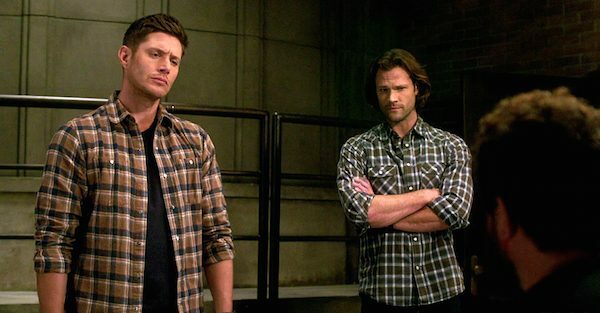 Dean never buys it, but Sam looks like he’s buying it a little, since there is a huge paper trail supporting it. Alexander claims he’s a hunter too, or, rather, a mercenary that is hunting witches pro bono. Sam and Ketch have a bit of a heart to heart about Arthur’s motivations, and, later, Ketch asks about Mary, further tipping off Dean to his lack of twinness. Dean knows a little something about brothers, after all. Cas meets the angel Duma at the playground sandbox portal, and she confesses that they don’t have Jack—but they need him. So many angels died in the fall and have been subsequently killed that their numbers are dwindling, and the only way to make more angels is, apparently, via Jack. 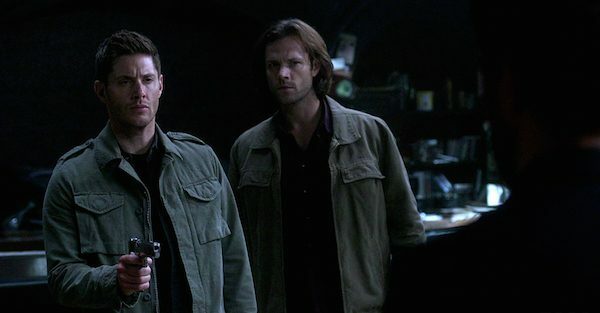 Two more angels appear to take Cas hostage to manage Jack and Duma gets Cas under her blade when Lucifer appears, managing to use enough of his grace to flash red eyes and get Cas set free. Cas has no interest in talking to Lucifer, but Lucifer tells him, “We’re sorta all gonna die.” And that gets Cas’ attention. 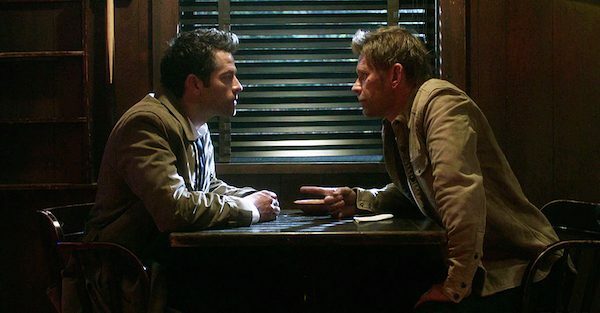 Cas and Lucifer talk the situation out, Cas tersely and Lucifer with his usual level of sass. (And man, Mark Pellegrino and Misha Collins have great chemistry. 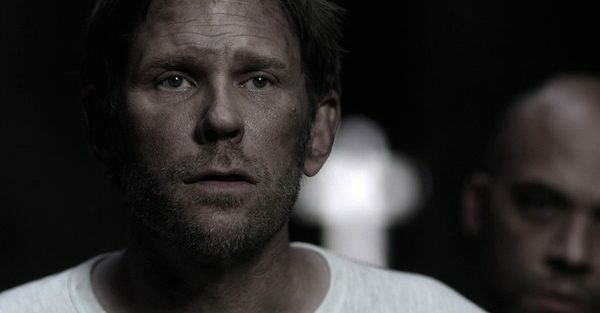 Though, to be fair, Mark Pellegrino is such a presence as Lucifer that he would have chemistry with anyone.) 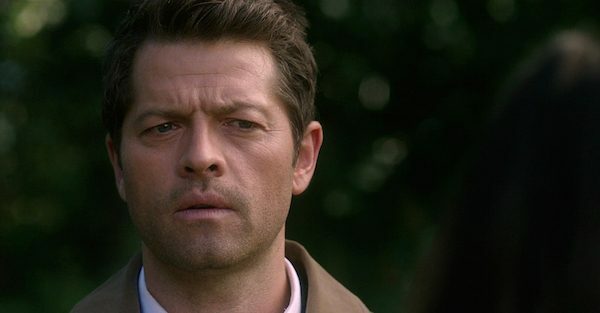 Cas doesn’t trust Lucifer one bit, but Lucifer says it’s not about trust—they need each other to stop the much more powerful Apocalypto Michael from killing them all. So where’s Jack? “Oh, my Dad. You have no idea where he is,” Lucifer says, dumbfounded. Cas tries to alert Sam and Dean of the problem, but Lucifer cuts him off. Fortunately, the boys can track Cas’ phone, so off in Baby they go. Lucifer chastises Cas about Sam and Dean, pissed that they lost Jack with Heaven, Hell and everyone else eager to enslave him. As Lucifer smirks at the thought of Jack hurting the Winchesters, Asmodeus walks in and Lucifer tries to play it cool. Unfortunately for him, Asmodeus is both at full power and satisfied with his position in hell, so he has the upper hand. Literally, it turns out, as he slams Lucifer and Cas into the bar and onto the floor with just a flick of his fingers. Sam and Dean track Cas’s phone to the bar, which seems deserted. Unfortunately for them, it isn’t, and they are jumped by four powerful demons. They manage to slay two but are overcome by the others and it’s not looking good until a savior arrives in the form of Ketch, who hid lock picks in a cavity (yuck) to break free and stole both weapons and a motorcycle to follow them. After Dean sees him fight the gig is definitely up—those are the moves of Arthur Ketch. 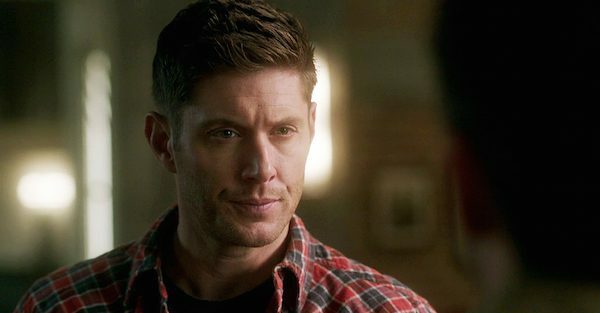 Ketch confesses Dean is right—that he is now a supernatural mercenary for hire who uses the name Alexander to stay undercover. And how is he still alive? Rowena. She had been captured by the BMoL years ago and she made Ketch a resurrection charm like her own in exchange for letting her escape. Dean tells him she’s dead. 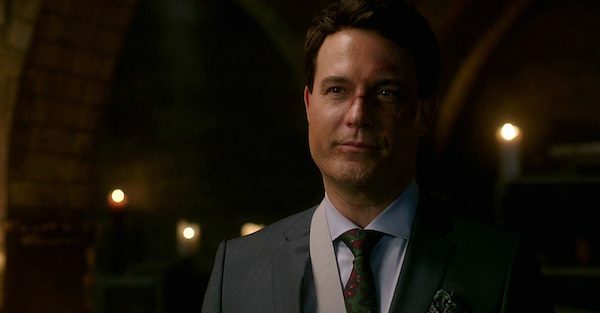 “Is she?” Ketch says, a glint in his eye, and please let us have Rowena back—pretty please with salt on top! “Did it ever occur to you, Dean, that I might actually be one of the good guys?” Ketch asks. “No. Not even once,” Dean replies. 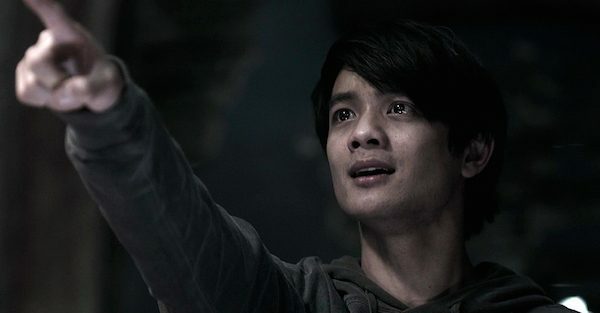 But before he can shoot him, Ketch throws a flash bomb and escapes into the night, leaving two pissed Winchesters behind. 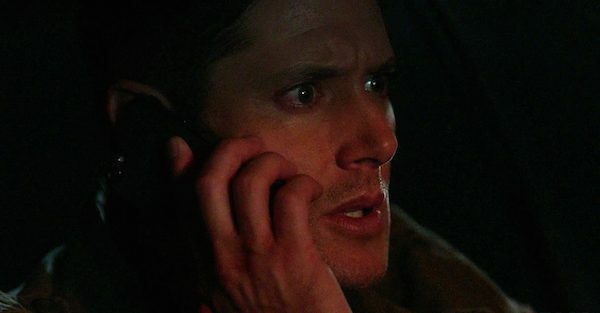 Dean calls Cas, whose voice assures him he is just following a lead on Jack, telling him he’ll see him soon. 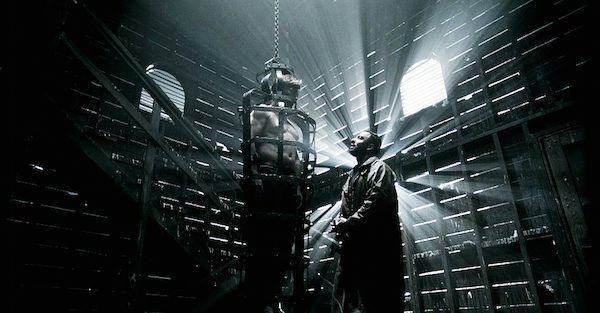 Of course, it is Asmodeus impersonating Dean’s best friend, and he has imprisoned both Lucifer and Cas in Hell. Asmodeus tells someone he is a collector who wants to be prepared for anything, and that is why it is imperative they find Jack. And who is he talking to? None other than a newly clean shaven (sadness) Arthur Ketch. The plot thickens! Hopefully we’ll learn that Jack is safe and goes on home to the HuntCave in next week’s episode, “The Scorpion and the Frog.” See you then!